When discussing their results, meteorite scientists often use a vast range of bewildering jargon and get real excited about stuff that even baffles other scientists. Is this important? As long as scientists can chat amongst themselves, does it matter that everyone else has little idea what they are up to? Well, yes it does! Meteorites provide us with samples from a wide range of Solar System objects great and small, including Mars, the Moon and numerous asteroids. It has even been suggested that we may have meteorites from Venus and Mercury. Meteorites carry information about the birth of our Solar System. Locked inside them are grains formed in stars that existed before our Sun. Meteorites provide clues about why the Earth has oceans. There is even evidence that life, or at least its building blocks, were brought to Earth by meteorites. So meteorites are much, much more than just scientific curiosities. The study of these objects is a vibrant and exciting area of research, yielding new and important discoveries at a breath taking rate. 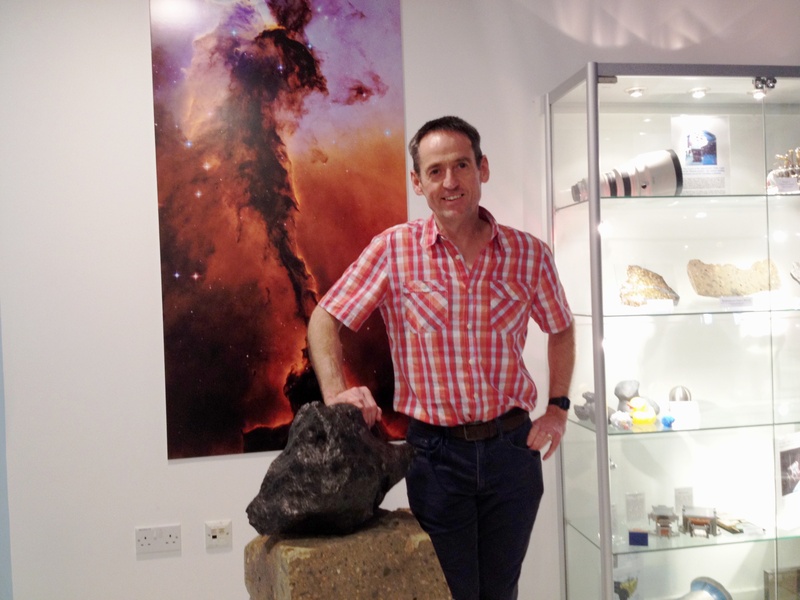 Hi, my name is Richard Greenwood and I am a meteorite researcher at The Open University. This blog is very much my own personal take on what’s new and exciting in the world of meteorites. My aim is to give a jargon-free view of meteorite research. I hope to show that studying meteorites is both important and fun. Please feel free to post your comments on any of the items in the blog.